Satellite signals have been detected that are likely from a missing Argentine submarine, raising hopes that the 44 crew members are still alive. 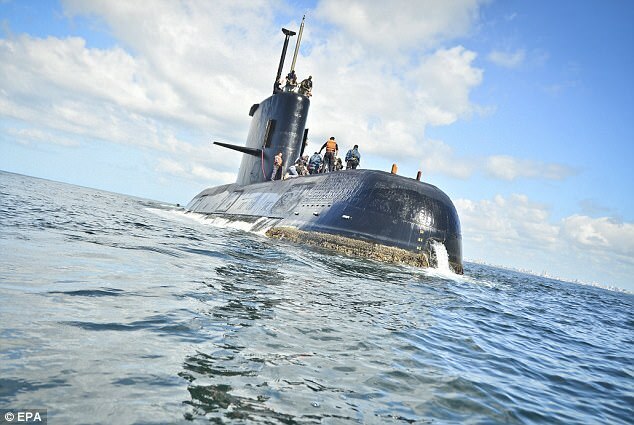 Seven failed 'satellite calls' believed to be from the missing ARA San Juan submarine were detected Saturday morning and afternoon in a likely sign the crew was trying to reestablish contact. 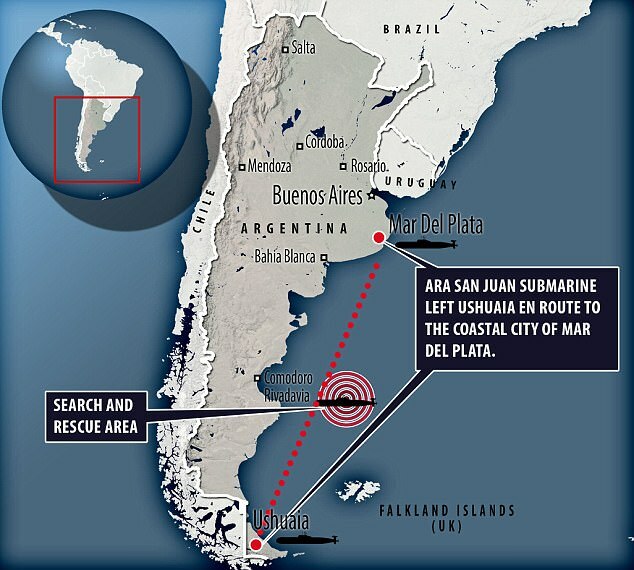 Before vanishing on Wednesday, the vessel was on a routine trip from a base in Ushia, on the southern tip of South America, to its home base of Mar del Plata. An international search mission is underway as storms ravage the South Atlantic. The mystery signals lasted between four and 36 seconds and were transmitted between 10.52am and 3.42pm, the Argentine defense ministry said in a statement. Argentina is working on tracing the location of the signals with an unnamed US company specializing in satellite communications, the ministry said. The satellite communications were believed to have failed because of foul weather, a source in the defense ministry who was not authorized to speak publicly told Reuters. It was not immediately clear what type of calls the vessel may have tried to make, but submarines that are stricken underwater can float a location beacon known as an EPIRB to the surface that can then emit emergency signals via satellite. Whipping winds and more than 20-foot waves in the South Atlantic have hindered the international search for the submarine. 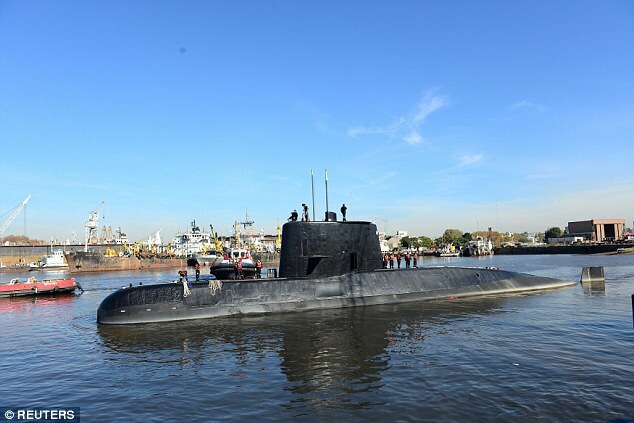 The last confirmed location of the German-built ARA San Juan was 268 miles off Argentina's southern Atlantic coast early on Wednesday. The US Navy said it was deploying a deep-sea rescue mission to Argentina from California to support the effort, with a remotely operated vehicle and two vessels capable of rescuing people from bottomed submarines. As nations from Chile to South Africa offered help, Argentine sea vessels and planes have scoured the southern sea. But a storm pitching powerful winds and waves more than 20 feet high has disrupted visibility and movement in the area, navy spokesman Enrique Balbi said. The submarine's color and design, which aim to camouflage the vessel in the ocean's surface, also posed a challenge. 'The idea is to continue through the night and the early morning, depending on weather conditions,' Balbi told reporters on Saturday. The weather was expected to be somewhat improved on Sunday, he said. The dramatic search has captivated the nation of 44 million, which recently mourned the loss of five citizens killed when an ISIS terrorist plowed a truck through a bicycle path in New York City. Many relatives of the crew members awaited news at the city's naval base. 'We're hopeful this will end soon to remain only as a bad memory,' Maria Morales, mother of crew member Luis Esteban Garcia, told journalists. Messages of support poured in from around the world. Pope Francis, an Argentine, was praying 'fervently' for the crew to return home soon, his office said. 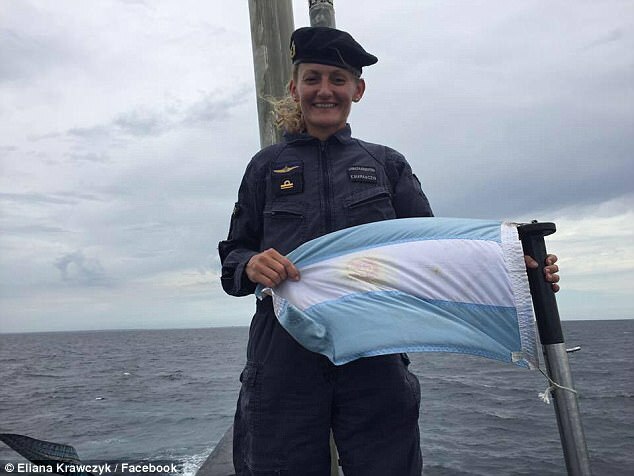 Among the submarine's 44 crew members is Argentina's first female submarine officer. 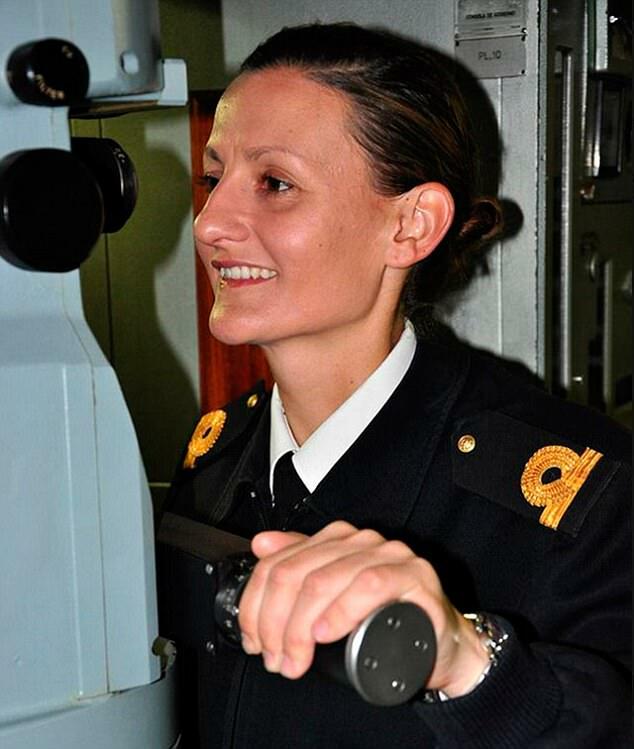 Eliana Krawczyk, 35, is the weapons officer on the ARA San Juan which last made contact with its base on Wednesday. 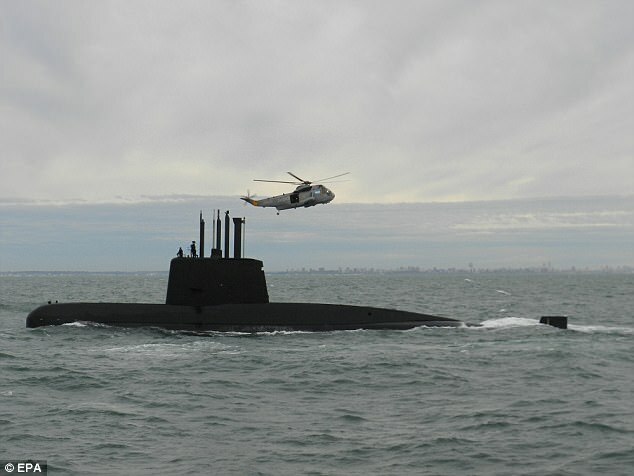 The San Juan is one of three submarines in the Argentine fleet. The 213-foot long submarine was built in 1983 by Germany's Thyssen Nordseewerke. However, it underwent a seven-year refit between 2007 and 2014 to extend its life by a further 30 years. 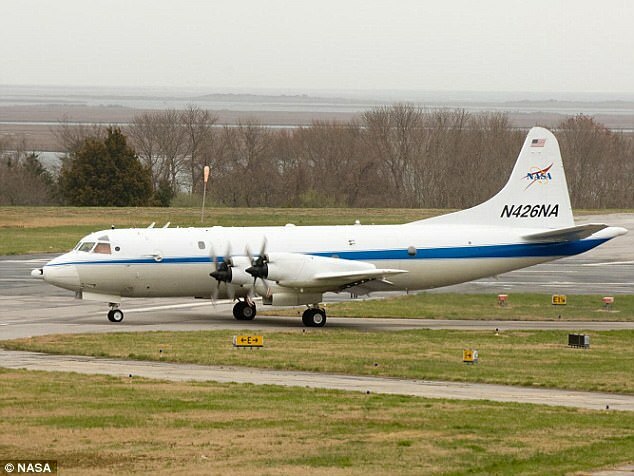 NASA has sent a surveillance aircraft to the scene, diverting it from a mission studying Antarctic ice. 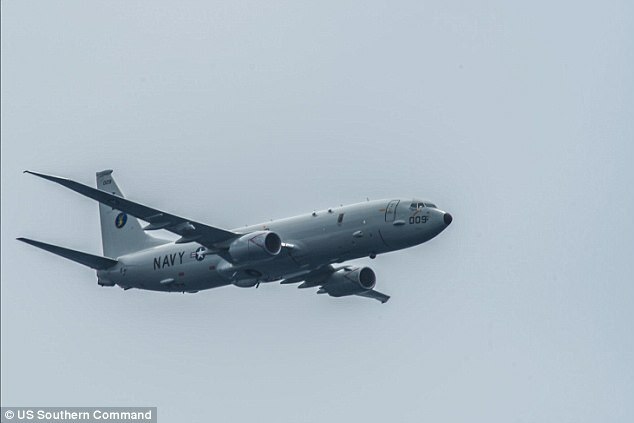 The US Navy also diverted one of its P-8A Poseidon maritime surveillance aircraft to Bahia Blanca, Argentina to help with the search for the missing submarine. 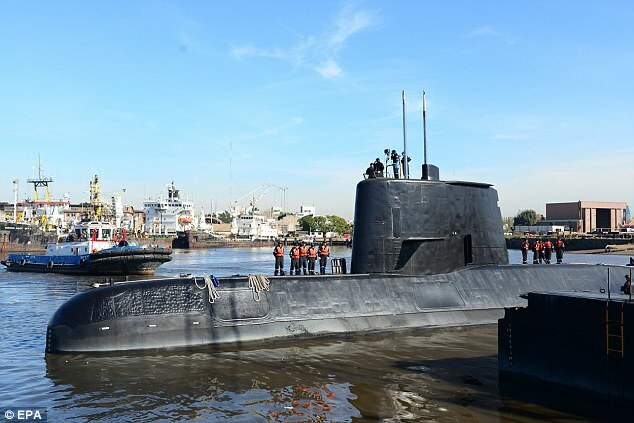 The navy believes the submarine, which left Ushuaia en route to the coastal city of Mar del Plata in Buenos Aires province, had communication difficulties that may have been caused by an electrical outage, Balbi said. Navy protocol would call for the submarine to come to the surface once communication was lost.